The Christmas Fayre and Carol Service is held in the historic Pannier Market on the 6th December 2018. Taking place between 6.30pm and 8.30pm, there will be a wide range of stalls dedicated to crafts, food and drink. 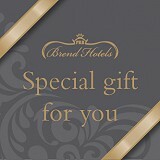 Take the opportunity to pick up a special gift for special people, or enjoy a bite to eat and soak in the festive vibe. The Carol Service will start at 6.45pm. Santa will also be attending and children will be able to meet him in his grotto. Expect a giant snow globe too! Thursday is also late night shopping in Barnstaple, meaning the whole high street will be alive with festivities, shopping and Christmas activities!